A very vegan Valentine's - Oy Vegan! By jamie on February 13, 2013 in Recipes!, Seasonal, shout out, Special Alert! Tomor­row is the day of love, hearts, candy and friend­ship. 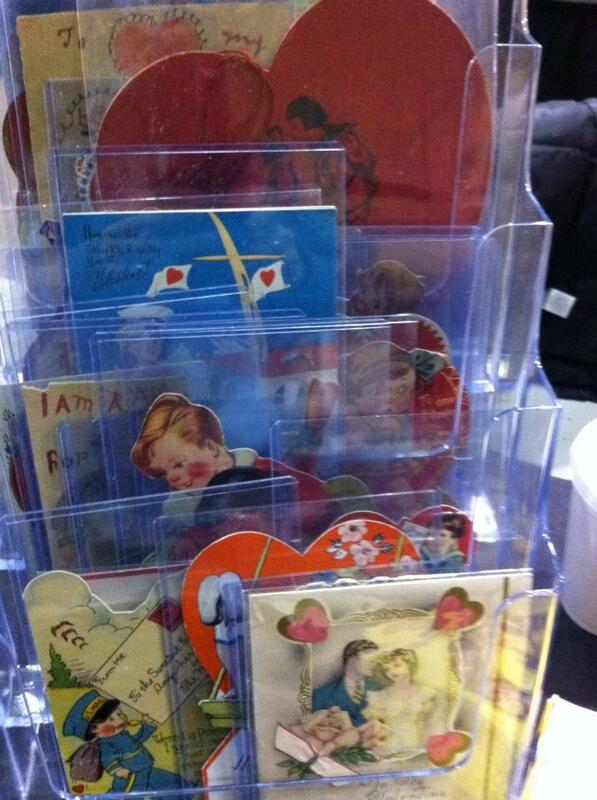 If you came by the Sun­day Antique Mar­ket at St. Lawrence North Mar­ket this past Sun­day, you might have seen me sell­ing turn of the cen­tury Valentine’s in prepa­ra­tion for the big day. For all you love­birds out there who are won­der­ing where to have an ani­mal friendly meal, check out these Toronto estab­lish­ments fea­tur­ing vegan price fixe menus. Check out their V-day menu here. 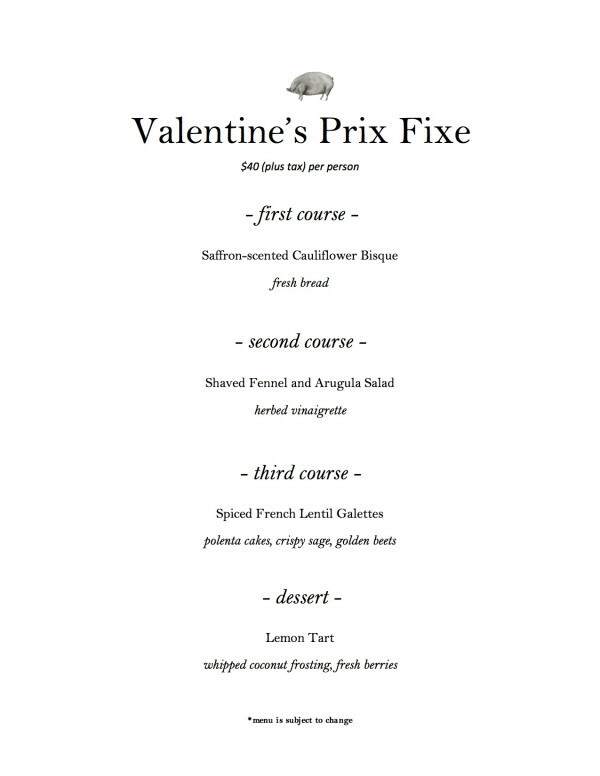 Of course you can always make your own Valentine’s din­ner! Here’s a recipe for tasty baked vegan dough­nuts that are easy to make! 2. In a large bowl whisk together all the dry ingredients. 3. In another bowl, whisk together wet ingredients. 4. Add wet mix­ture to dry mix­ture and mix together until just combined. 5. Scoop out your mix­ture into a pre­pared dough­nut pan. Don’t put too much mix­ture in! Make sure it is level or below the sides of the pan so it doesn’t bal­loon up in the bak­ing process. 6. Bake for 12 min­utes or until a tooth­pick inserted comes out dry. Let cool a few min­utes before turn­ing the dough­nuts out of the pan to cool completely. 1. Melt 1/2 cup to 3/4 cup of vegan choco­late chips and coconut oil in the microwave for inter­vals of 30 sec­onds. Stir­ring in between until melted completely. 2. Dip cooled dough­nuts half way in the choco­late glaze turn­ing as you pull them out to avoid drip­ping down the sides. 3. 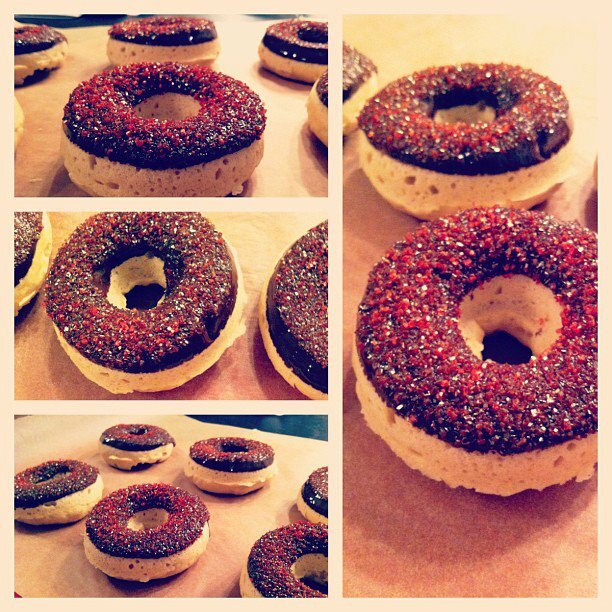 Dip the glazed dough­nuts into another bowl of sparkling red sprinkles. Wish­ing all you lovers and friends out there a Happy Valentine’s Day from Oy Vegan!